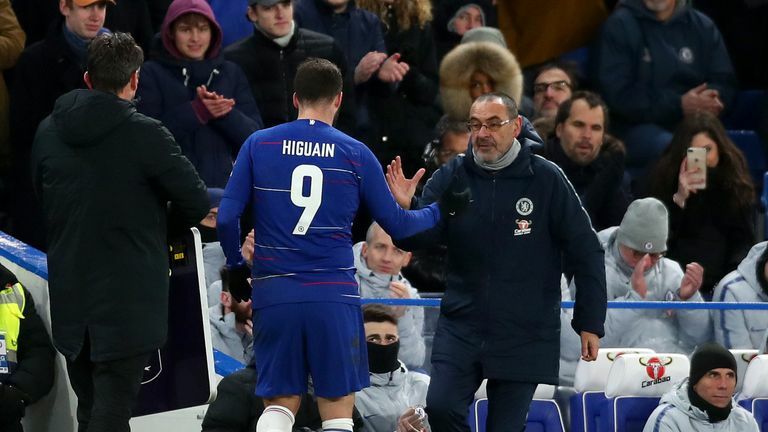 Maurizio Sarri says new striker Gonzalo Higuain can bring the best out of Eden Hazard. Higuain hit the ground running with two goals on his Premier League debut in Chelsea's 5-0 thrashing of Huddersfield, but Sarri has the bigger picture in mind for the Argentine forward ahead of this weekend's trip to champions Manchester City, live on Sky Sports Premier League from 3.30pm on Sunday. Much has been made of the role provided by another Chelsea forward, Olivier Giroud, as a link-up player with top goalscorer Eden Hazard, but Sarri says the incoming Higuain, who was coached by the Italian for a single season at Napoli in 2015/16, can act as a foil for the midfielder as well as finding the back of the net. 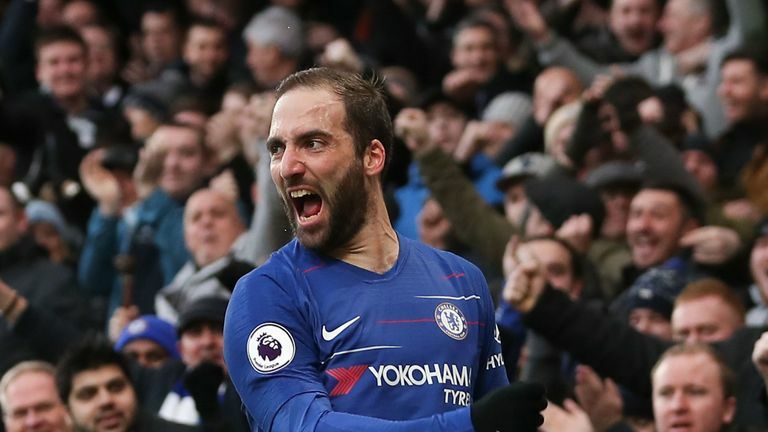 "Gonzalo is a great player, a great striker," Sarri told Sky Sports. "He did very well in Madrid, in Naples, with Juventus. He arrived very motivated, and I think he will be very useful for us. "He can score, of course, but he is really very able to play with his team-mates too. He can be very useful for Eden [Hazard] and Willian." He said: "After the match against Huddersfield, I was really very happy with the result and performance, but I know now we need consistency. We have to stay at this same level of performance for a long time, especially mentally. "We did nothing differently to prepare. We worked about offensive movements because we did something wrong in the offensive movement in the first half at Bournemouth, but the second was a disaster in the defensive phase. But I wanted to start from the first half. "This season, we have had the wrong approach in some very important matches - Arsenal, Tottenham. So I want to answer whether the players need motivation for this game after the match!"